These great and highly-praised American Catholic Readers, originally published by Benziger Bros. in the 1930s, were the mainstay and backbone of the Catholic parochial schools during the 1930s, '40s, and '50s. They still form part of the core curriculum for homeschoolers and private schools lucky enough to have old copies of these books. The Cardinal Readers are for Catholic parents and students, and give pupils fine tuned reading skills and an introduction to their literary heritage. This wealth of literature will be a help to pupils in developing a proper outlook on the meaning and beauty of life. It also will serve to bring out the relationship of the individual to God, primarily through his holy religion; his relationship to his fellow men, to his country and the natural world around him. All nine readers include a complete Table of Contents and the lower grades particularly are fully illustrated. Books Four through Six include a Glossary and the older grade books include lists of suggested additional reading material in the form of essays, novels, poems, short stories and books. 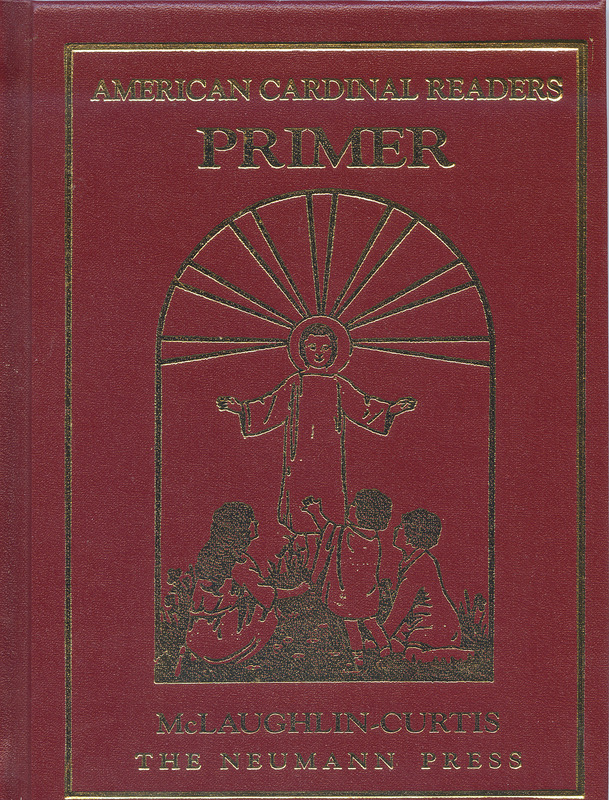 The Primer includes "Jean's Morning Prayer", "A Surprise", "The First Christmas", etc. Fully illustrated.